Since 1987, our family has provided quality auto repair and built meaningful relationships with our customers. These relationships fuel our ability to be different, to stand out in an industry saturated with competition. As a teenager, our dad, Dean began working at a service station. This is where he learned the art of customer service and the value of building relationships. He enjoyed talking to the customers, getting to know them and earning their trust. He developed a love for cars and a desire to help people. That style of ‘Old Fashioned” customer service stuck with him. As an adult he worked in a large corporate owned shop. He saw the benefits of having a corporate platform and being able to offer better warranties, but he also found some of his abilities were limited by corporate red tape. It was hard to build relationships with customers and even harder to retain employees. He knew there was a better way and he knew what he had to do. In 1987, he took a leap of faith and opened Snellville Auto Center. 1. Provide “Old Fashioned” customer service & high-quality auto repair. 2. Build Relationships with customers & nurture those relationships. 3. Build a team of like-minded people, build relationships & nurture those relationships. With a strong foundation & a lot of hard work, the business grew quickly. Customers appreciated the fact that our shop was different, that they were our 1st priority. We were able to open our 2nd location, Centerville Auto Center in 1990. As kids, we were able to ‘help’ our dad at the shops and we were eager to learn as much as we could. We grew up in the shops, witnessing first-hand how important people are in having a successful business. After high school, Brian & Brent went on to acquire Business degrees and eagerly returned to join the family business. Eventually, we decided to expand our reach once again. 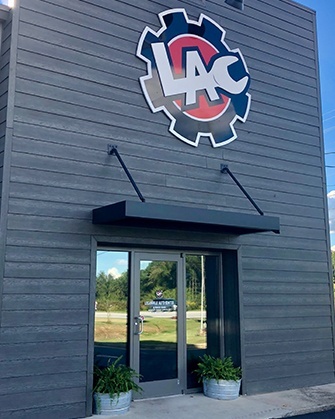 Both of our shops were in Gwinnett County, but we saw an opportunity arise in neighboring Walton County. 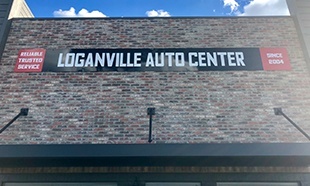 In 2004 we opened our 3rd location, Loganville Auto Center. Through the years, we have been blessed with amazing people, customers and employees alike. It is our core values and fundamental beliefs that has kept us successful all these years. Good old Fashioned customer service never goes out of style!